Every week I feature a small round-up of five delicious recipes from here and around the web. 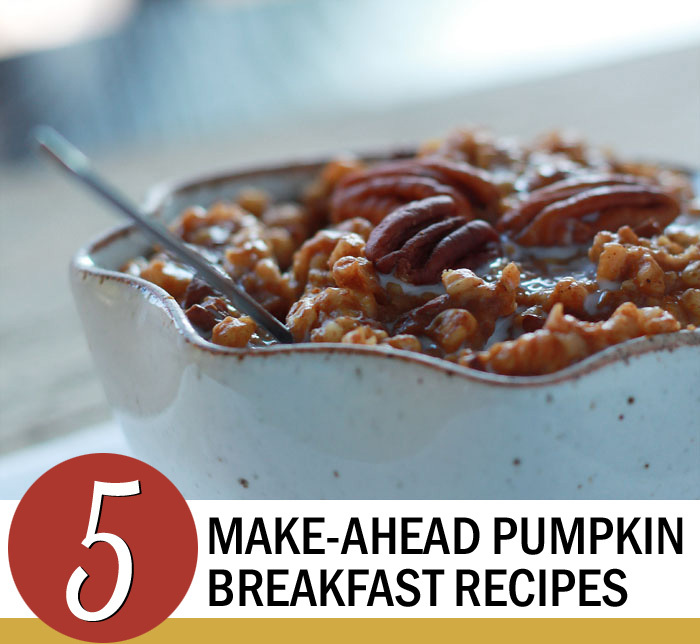 This week’s topic: 5 Make-Ahead Pumpkin Breakfast Recipes – pumpkin breakfast recipes that are – or can be – made ahead of time. 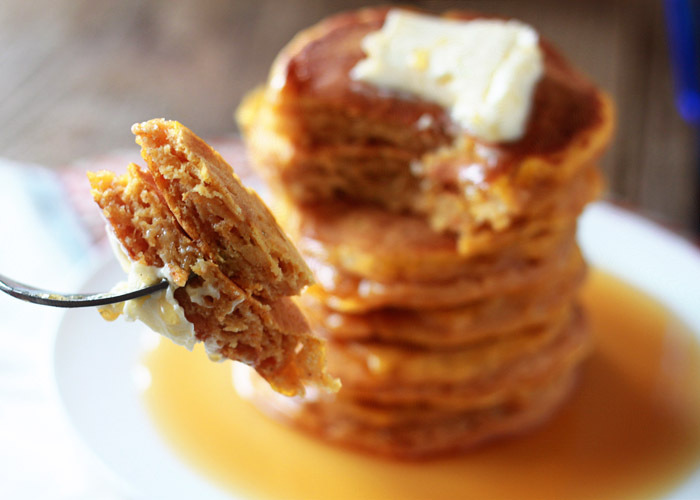 Because the only thing better than having breakfast already ready is having pumpkin breakfast already ready! Our freezer is packed full with these fluffy gems. Place cooked pancakes in an airtight zipper bag and freeze. Then just pop a few in the toaster and your festive fall breakfast is served. 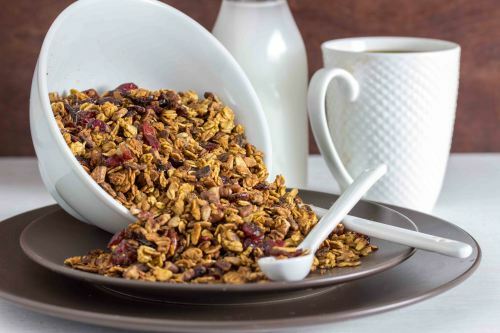 Granola might just be the ultimate make-ahead (and then grab-and-go) breakfast around. Even better when it’s pumpkin flavored and amped up with pure maple syrup! 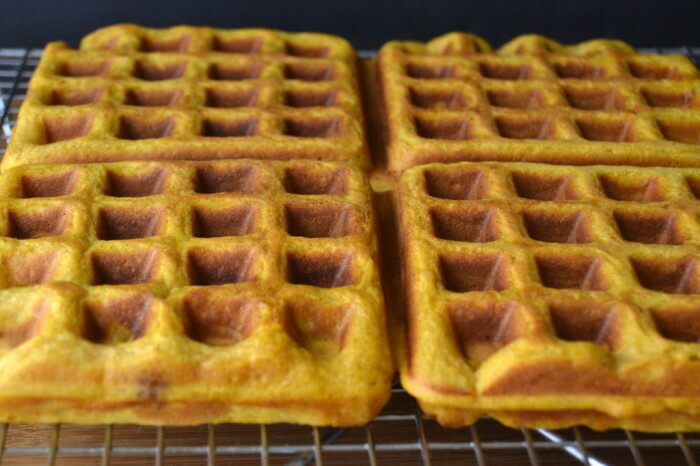 The only thing that might be better than having the freezer packed with pumpkin pancakes would be a freezer packed with these crispy, easy pumpkin toaster waffles. Perfect for a special occasion – or just because. 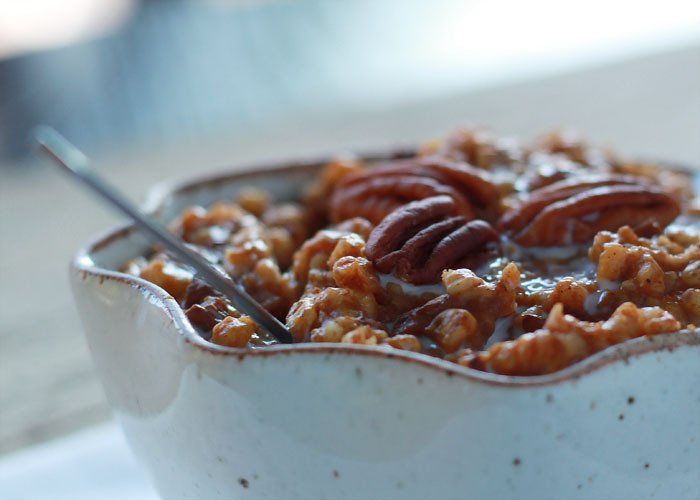 Creamy, dreamy oatmeal, done overnight! Plus, a must-see tip if you hate scrubbing your Crock Pot like I do. 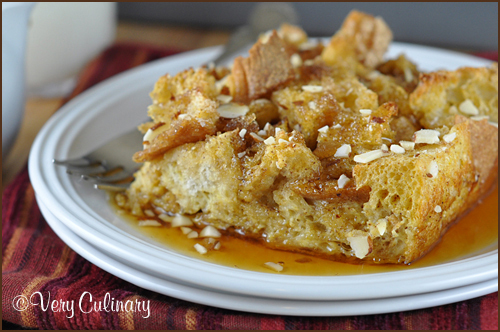 What are your favorite pumpkin breakfast recipes (even better if they can be made ahead of time)? I’d love it if you shared in the comments below. This is a great idea for a grouping of recipes…I adore pumpkin for breakfast but I’m usually too groggy in the morning to pull it all together —- love all of these, and thanks for including me! Really you could write an entire cookbook of recipes, and I’m sure you will!